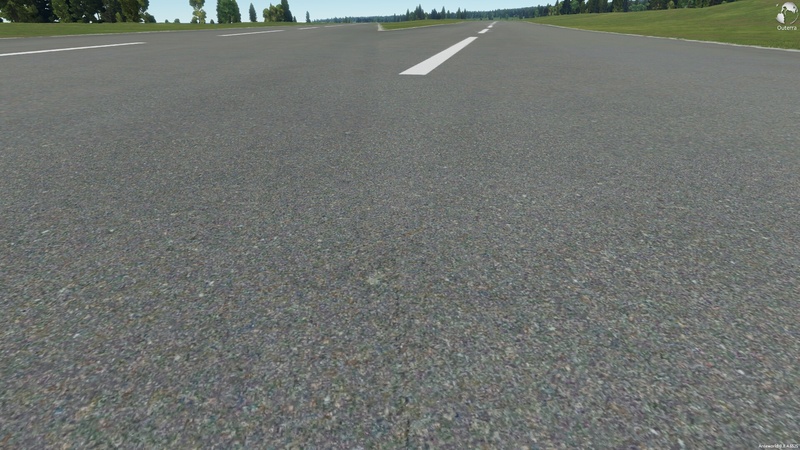 "Lovely and smooth runways merging for soft landings"
How the hell did you make that!? 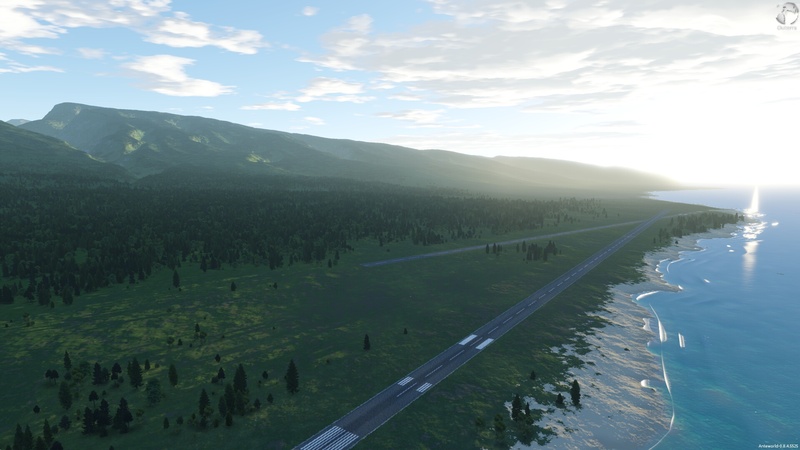 Careful planning (making the second runway at the exact same elevation as the first one) and few centimeters level nodes adjustments. No! Outerra no does the flat!! 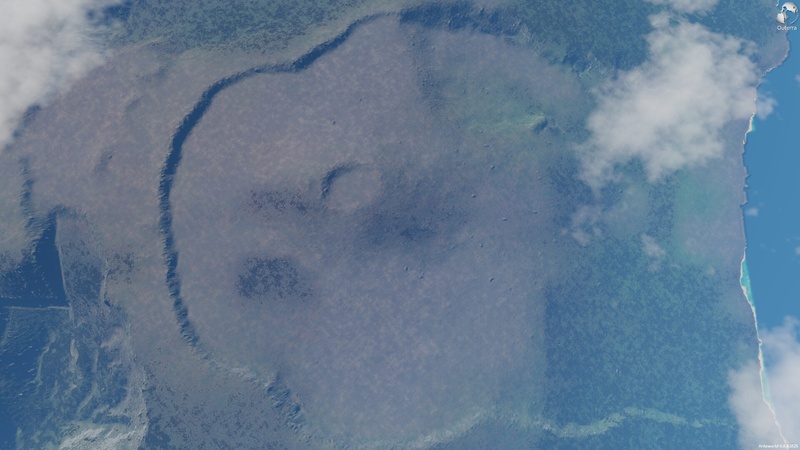 Have been destroyed by the volcano? if we could have more colors and variety vegetation outerra,,, it would be much better. I once read of Cameni it was not so easy to distribute throughout the plant variety in the world,, but at least have a tab or box where to get, other trees, palm, coconut, etc,, and have the option of marking single preferred areas for these types of vegetation are placed,, would be great (not by default, but when añadimo like to outerra a mod). to be included in pending cases ..
Hey Acetone, I`d like to get into scenery building in Outerra as well. 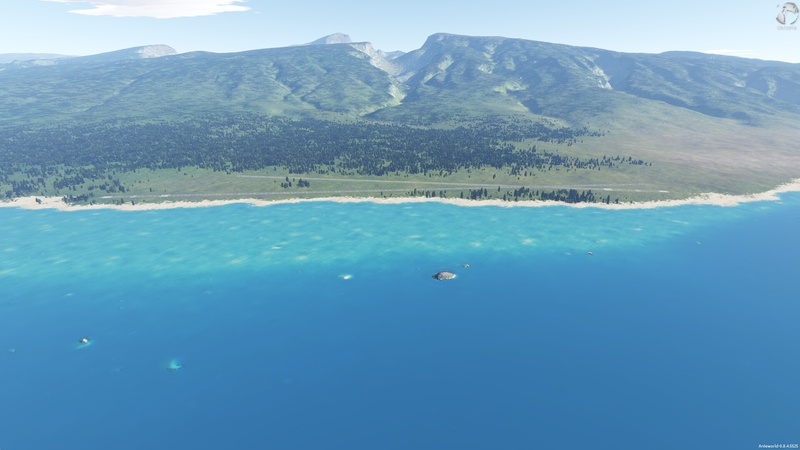 can I try making the small town of Saint Philippe on the South East corner of the island? Maybe it turns out good! 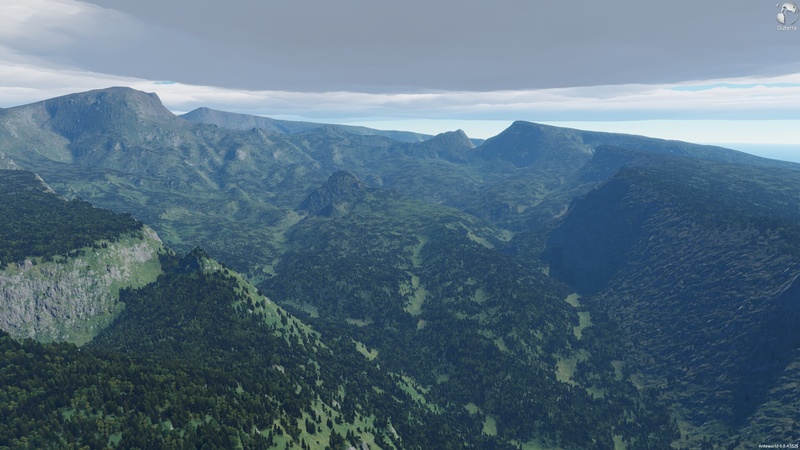 BTW, is there any specific asset set you`ll use for this scenery?